Planting more than 100,000 trees in 10 regions of Cameroon. Ensuring water catchments in communities are protected and improved. Cameroon is already suffering from the impacts of climate change. Water supplies are drying up, the dry season is longer and hotter and is followed by more floods and longer rains. Already poor communities are now faced with higher prices for food and water due to shortages and are simply unable to make ends meet. 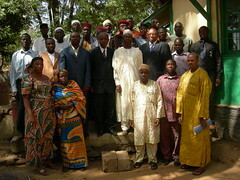 In response, the Presbyterian Church wants to plant 100,000 trees over three years in all the 10 regions of Cameroon. The three-year project will aim to plant 100,000 trees in different communities in Cameroon and ensure water catchments in communities are protected and developed. This is an interfaith project. The church will work to raise environmental awareness about tree planting not only within local Presbyterian churches but also with the local Roman Catholic Church, Protestant Mission and Muslim communities. 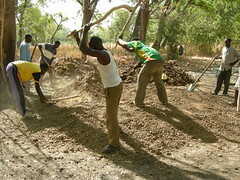 It will work through young people in Presbyterian colleges and government schools to form clubs to plants trees and mobilize PCC movements – the Christian Youth Fellowship, the Christian Women Fellowship and the Christian Men Fellowship – to plant trees in identified communities nationwide as volunteers. It will organize training workshops, work through the media and provide tree seedlings to be planted by volunteers in collaboration with the Ministries of Forestry, Environment, Agriculture and Research.